Flip Out Mama: Review and #GIVEAWAY! Rubbermaid Glass Food Storage Containers. Review and #GIVEAWAY! 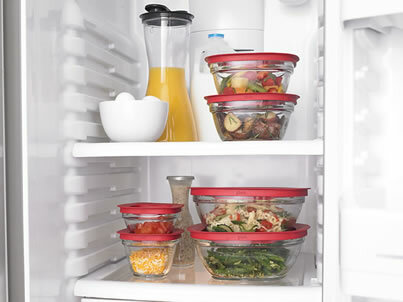 Rubbermaid Glass Food Storage Containers. Most of you know that we live in a tiny house. T-I-N-Y. When it comes to anything storage related, I am totally into it! I am always trying to find a better way to stash things away, and keep them in a (somewhat) orderly fashion! I recently got the chance to try out Rubbermaid's new Glass Food Storage Containers, and we were really impressed with them! These containers have the Easy Find Lids, which I LOVE! 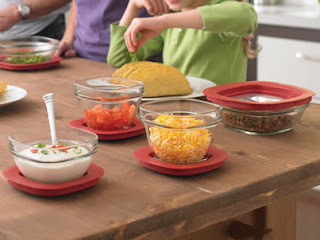 This means that the bowls nest inside the lids so that you never lose the lids! I really needed some containers like this, because I am constantly battling the container/lid problem! This set comes with four containers: one 1.5 cup, one 2.5 cup, one 4 cup, and one 5.5 cup. I love that the containers have varied sizes, but are all still useful. Even the smallest one is not too small to use! I also love that you can stack the lids together, then nest the containers inside each other to save even more space! It's great for people like me who have NONE! I also really enjoyed the versatility of this set! Do you need them to store stuff in a cabinet? Fine.. What about freezer? You wanna freeze them? Okay. You can also use them in the fridge, microwave, dishwasher, even the oven! (Up to 425 degrees). I love that no matter what I need to do, these containers can handle it! I have really discovered that I prefer glass containers during the last few weeks while using these! I love that I don't have to worry about melting plastic in the microwave. I also have really enjoyed being able to store whatever I wanted in these containers (like Spaghettio's LOL) and not having to worry about the containers being stained. YAY! I would totally recommend these containers to anyone! I have thrown away all my cheapie plastic ones, and am loving the glass ones! :) Thanks Rubbermaid! One lucky Flip Out Mama reader will also be able to win a set of these great containers!! Go here to the Rubbermaid site. Come back and leave a comment on this post telling me another product that you found that you would like! 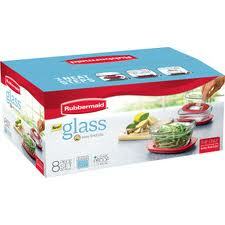 +1 Follow Rubbermaid on Facebook here and tell 'em Flip Out Mama sent you! This giveaway will end on 8/31/2011 at approx 11:59pm. Winner will be chosen through random.org and will have 48 hours to respond to email notification or an alternate winner will be chosen. Sponsor is responsible for all shipment and fulfillment of products. disclosure: I received a sample product in order to conduct this review. Although a sample product was received, all opinions are my own, and I received no monetary compensation. Oooohhh...I've been wanting to try these! I love glass containers for everything! I also really liked the pan and lid storage things on the rubbermaid site. I need help with that! I like the patio storage bench! Very cute & doubles as a storage unit outside. Our outdoor toys have overrun my back patio, storage would be great there. I like the Reveal Spray Mop Kit. I would love to try the Filter Fresh Water Bottle. The garage organizational system is cool! I really liked the 24" Wall cabinet on Rubbermade's site. It would be great for organizing the garage. I liked the Wrap and Bag Organizer. I think the Slide Out Lid & Pan Organizer looks nice. I would Like to Try the back Seat tray. I would like to have the 75 Qt DuraChill Wheeled 6-Day Cooler. That filter fresh water bottle would be awesome! loved the slide out lid and pan organizer that would only make my life soo much easier!!! :) hope to win!! I always drool over their closet organizers. I really like the bread keeper! Any of the closet kits... I love clothes, shoes, purses, etc. and need to get it organized! What a great giveaway! I love the patio storage bench! Thanks! I love the Filter Fresh Water Bottle. Love their closet organization systems. Especially the shoe shelves! Liked Flip Out Mama on Facebook. I love the reveal mop. it's a great mop with washable pads and you can use your favorite cleaner. I would like to have the 2 gal. Victory Jug. I would love to try the closet kits. 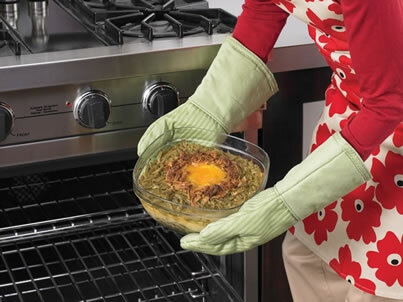 I would LOVE to have the Slide Out Lid & Pan Organizer. What a GREAT!!! product. I like the Plastic Drawer Organizer. I really want some of the helper shelves that work on wire shelving! The closet kits look awesome! I would love to try those! I would like to try one of their laundry baskets. thanks for the giveaway. I love the deck box. That would be very useful. I really liked the pull out pan and lids organiser. Definitely the garage organizational system for my family. I really like the 150 Qt Marine Cooler. I am now following with Networked Blogs. I already follow Flip Out Mama on Facebook. I would like to try the Classic Configurations Closet Kit in my bedroom closet. I like Rubbermaid on Facebook as Nancy H.
The outdoor storage container would be perfect for outdoor toys! I'd like to try the closet storage system. Would love to have the 75 Qt DuraChill™ Wheeled 6-Day Cooler. I also like the Rubbermaid Produce Savers. I am a fan of Rubbermaid via Facebook as Jill Myrick. I also like the modular canisters. I also like the Reveal Spray Mop Kit. I'd also like the Carafe beverage container. I'd also like to try the Reveal mop.